Kasane, Botswana, Close to Chobe Game Reserve. It is easy to see why Cresta Mowana Safari Resort & Spa near the Chobe Game Reserve was named after a baobab tree. This luxury Chobe lodge was built around a majestic 800-year old specimen of Adansonia digitata. Legends about baobabs abound, one being that God uprooted the baobab and flung it to the ground upside down, because it kept walking when He first planted it into Chobe soil. 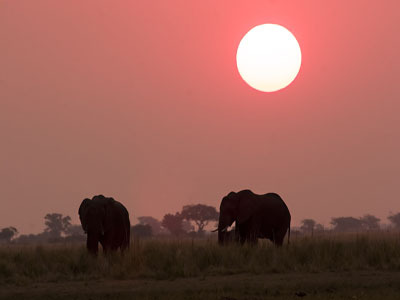 The Chobe Game Reserve is famous for its enormous elephant population – it is said that 45 000 of these interesting creatures roam the plains of Chobe. They share the area of almost 10 000 square kilometres with lion, leopard, giraffe, cheetah, buffalo, approximately 450 bird species, as well as puku and Chobe bushbuck, which are indigenous to Chobe National Park. 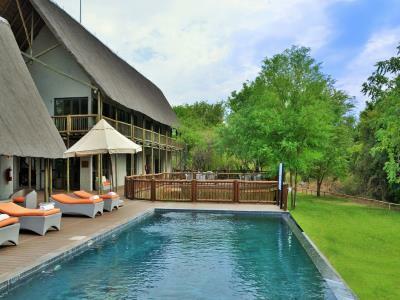 The luxurious Cresta Mowana Safari Resort & Spa near the Chobe Game Reserve is a four-star establishment. 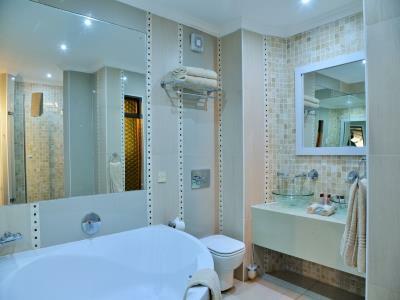 Guests are accommodated in 112 luxury rooms and 4 suites (all en suite and air-conditioned). The luxury Cresta Mowana Safari Resort & Spa boasts one of a kind: a hairdressing salon in a treehouse! The swimming pool is also not your regular Olympic-size job. Mowana’s pool is built in such a way that it disappears into the surrounding Chobe landscape. Cresta Mowana Safari Resort & Spa offers numerous opportunities for expertly guided game viewing in the Chobe National Park, by day or night. 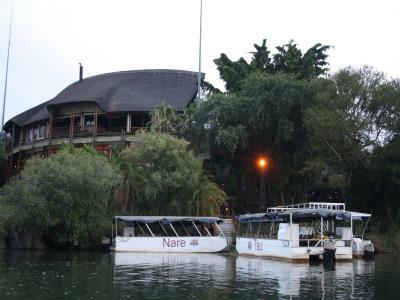 Breakfast or sunset cruises on the Chobe river (complete with mouth-watering fare prepared by the gourmets of this luxury Chobe lodge) can be arranged. 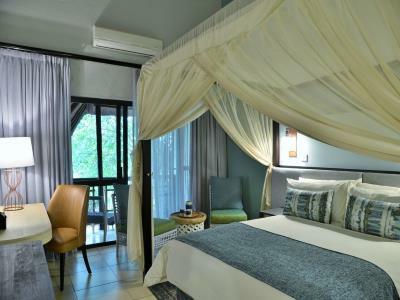 Mowana Safari Lodge & Spa is without doubt the best accommodation in the Chobe Kasane region. This lodge with its luxury rooms, excellent meals and renown service is certainly the place to stay while at Chobe National Park. However, it comes with a little bit of a price. If you cannot afford the Mowana Safari Lodge & Spa, there is no reason not to visit Chobe. There is excellent alternative accommodation such as the Chobe Safari Lodge. 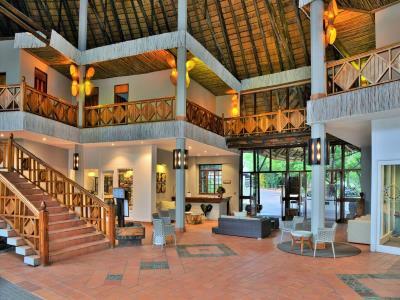 This is a four star property bordering both Kasane and the Chobe Game Reserve. Cheaper three star accommodation is also available at Toro Lodge and for those who prefer self-catering accommodation, don't look any further than the famous Senyati Safari Camp. It is situated in the bush and you will see big game. Game can also be seen in the Mokolodi Nature Reserve, where you can find self-catering (self-contained) accommodation. Mokolodi Nature Reserve is situated 12 km south of Gaborone, the capital city of Botswana. When travelling to Chobe from Gaborone in the south of Botswana, you can stay over at Woodlands Stop Over near Francistown in Botswana. This lodge offers self-catering (self-contained) accommodation and camping near Botswana's second largest city. Travelling to the north-eastern corner of Botswana from Francistown, the Okavango Delta Safari is the place to book your Okavango Delta safari or accommodation. At Okavango Delta Safari, you can select the best Okavango Delta lodge or hotel. Britstown Transkaroo lodge is two days' drive from Chobe Game Reserve and the perfect overnight stop for those on their way to Cape Town. Hanover Lodge offers bed and breakfast accommodation or hotel accommodation in Hanover in the Northern Cape of South Africa. Merino Inn Hotel in Colesberg is the only hotel in this Northern Cape town in South Africa. The Merino Inn is on the N1 highway between Cape Town and Johannesburg and between Johannesburg and Port Elizabeth. Kruger Park Safaris will compliment your visit to Chobe National park. You will do game drives in open safari vehicles, as at Mowana Safari lodge. Travelling south from the Kruger National Park, you can visit Mazeppa Bay Hotel on the Wild Coast of the Eastern Cape in South Africa. The Wild Coast is the most beautiful coastline of South Africa. Swakopmund Hotel and Entertainment Centre is one of the famous hotels in Swakopmund in Namibia and more or less on the same standard as the Mowana Safari Lodge. You must allow at least two days to drive from Chobe to Swakopmund. Ngepi camp is a very special destination in the Caprivi in Namibia. It is within easy reach of Chobe and you can be there soon after lunch if you leave Mowana Safari Lodge early. Waterberg Plateau National park is famous for its excellent climate breath-taking views and excellent accommodation near Otjiwarongo In Namibia. The Churchill Hotel is the place to stay if you plan to visit Bulawayo after your stay at Chobe Game Reserve. The Churchill hotel is 5 km from Bulawayo CBD on route to the Matopo National Park. Cutty Sark Hotel is a more affordable hotel in Kariba. You can reach Kariba easily within a day from Chobe but be aware, the border crossings might take longer than planned. Cutty Sark offers magnificent views over the lake. Spurwing Island in the Matusadona Game Reserve near Lake Kariba in Zimbabwe is an excellent safari destination, and popular with fishermen. Spurwing Island is a luxury safari lodge. Inn on the Vumba is a boutique hotel with a very English style in the Vumba Mountains near Mutare in the Eastern Highlands of Zimbabwe. Youth Tours to Europe are as popular and famous as the Kalahari Vasbyt tour.